Tourism that Doesn't Cost the Earth! When booking directly 5% of the profit goes to local charity Headway working to support people affected by acquired brain injury across Oxfordshire. We won't be beaten by booking sites! If you find us cheaper elsewhere, call us on 07955 240559 and we will match or beat the price! We are a dog friendly business, we have garden space and links with a local dog sitter. See our T&Cs and policies for more info. 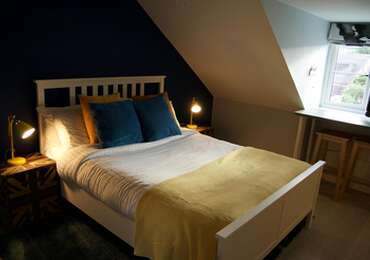 This room can be booked as a twin with two single beds please notify us of your requirements.